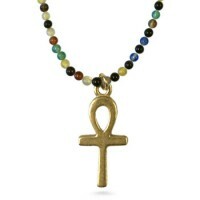 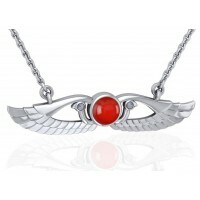 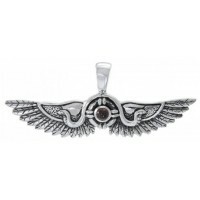 The Eye of Horus is one of the most powerful protection symbols from Ancient Egypt - here as a pendant to protect you. 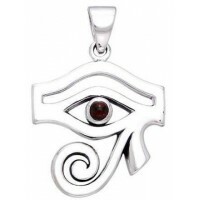 Solid sterling silver Eye of Horus pendant is 1 1/4 inch tall including the bail and surrounded by hieroglyphics. 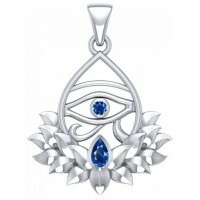 Item Number: PS-TP1584 | Approximate Size (Inches): 1.00 wide x 0.05 deep x 1.25 high | Approximate Shipping Weight: 0.25 lbs. 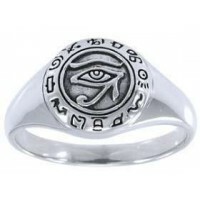 The Eye of Horus is an ancient Egyptian symbol believed to be an effective ..